Rumi remains the most popular poet in America today. To many who claim to be “spiritual but not religious,” his poems represent direct spiritual connection with a higher power, but a religious worldview underpins every poem he ever wrote. Today, the ugly sides of religions are more prominent than ever, as they are never far from the headlines. Bigotry, violence, ethnic cleansing, enslavement, barbaric torture—all in the name of the major surviving religions in the world—whether Jews, Christians, Muslims, Hindus, or Buddhists, have made it an embarrassment for many to identify with any particular faith. In fact, this is a major attraction for the relatively new designation of “spiritual but not religious” (henceforth SBNR), which is increasingly prominent in North America (pewforum.org). The above translation of the first line of a quatrain by Rumi is now the most frequently quoted verse in America and a favorite for weddings. It is representative of the image of Rumi in the popular imagination of American readers as a mystic beyond the realm of religious dogma. This is in such stark contrast to the stereotypical image of Islamic religiosity that it has led to the following assumptions in reaction: (1) that Rumi was not truly of Muslim origin; (2) that Rumi rejected his Islamic origins for another Eastern religion; and (3) that the translations of this kind are wildly inaccurate. In fact, none of the above are true. While many will point out that Coleman Barks cannot read Rumi’s poetry in the original Persian, he does take his task very seriously by using the most literal academic translations available as his source texts. As a result, it is rarely difficult to identify the original Persian poem from his translations. The main attraction of being SBNR seems to be the preservation of a direct spiritual connection with a higher power and personal development through that connection. A major problem with the designation “spiritual but not religious” is that many people use the term “spiritual” and “religious” synonymously. In the Pew Forum survey of this category, the parts of the definition that highlight how such individuals see themselves as being nonreligious are the disinclination to participate in group worship or to blindly accept theological dogmas, adherence to relativistic ethical values, and liberal political leanings. While the spiritual affinity with Rumi and his poetry is indisputable, what is interesting is how this overrides some other areas of distinction between contemporary adherents of the SBNR classification and the thirteenth-century Sufi saint. If Rumi had lived as a mainstream Muslim, then the differences mentioned above would have been very stark. As most readers who have read his biography are aware, however, he had a transformative experience at the age of thirty-seven that changed his more mainstream religious worldview to an ecstatically mystical one, which provided the inspiration for his famous poetry. It is therefore worth looking closely at how that latter worldview corresponds to the SBNR one that is expressed in survey polls. By footprints is the Sufi’s method shown. He saw deer tracks and followed where they led. But now the scent of musk serves as his guide. Than tracks or circumambulation do! In this passage, Rumi promotes following scent, while also alluding to the use of tracks as a guide before reaching the point where one can follow the scent alone. In the context where this passage is found, it is clear he is referring to intuitive mystical perception (scent) in contrast to the rules and dogma of a religion (tracks), as the final reference to circumambulation of the Kaaba in Mecca reinforces. Those who self-identify as SBNR similarly prioritize this perception but without acknowledgment even of the preparatory value of mainstream religious practice. This is one clear difference. One might be tempted to argue that in Rumi’s time there was no viable alternative, but one should not overlook his extensive arguments against rationalist Neoplatonic philosophers among Muslims. The paradox worth noting here is that Rumi, who is the most popular poet today in America, viewed himself as following mystically in the footsteps of the founder of the Islamic religion, Muhammad. This passage is worth unpacking because it has far-reaching implications. First of all, one of the well-known basic dogmas of Islamic theology is that Muhammad was the last authentic prophet. Sufis, however, always had great difficulty with the idea of revelation of the highest, prophetic kind ever coming to a close, as one would expect for mystics, and this is the motive behind Rumi’s assertion above. He also refers to the fact that it may be called by other names because this is how Sufis usually sidestepped the dogma—they asserted the continuation of some form of revelation but argued that it was something distinct from the “prophetic” kind. While the SBNR would no doubt agree that revelation of the highest kind and communication with the divine cannot be closed or limited today, they would most likely not feel the need to support their case on the basis of a saying of the Prophet Muhammad or any other founder of a religion. 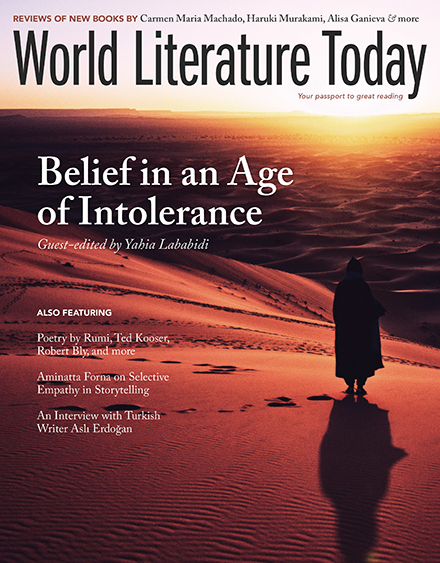 For Rumi, this was necessary because in his day this was the preferred method for legitimation for his readership, through the equivalent of “tracks” before they can themselves follow “the scent.” However, one can see in Rumi’s statement the identification with the Prophet Muhammad as a mystic exemplar in whose tradition he believed he was following, which is representative of the Sufi tradition as a whole: Sufis in every age defined the qualities of the mystic on the model of the mystic characteristics with which Muhammad is usually depicted, most prominent among which is the receipt of divinely inspired words of great poetic beauty. The paradox worth noting here is that Rumi, who is the most popular poet today in America, viewed himself as following mystically in the footsteps of the founder of the Islamic religion, Muhammad, whose biography’s less otherworldly depictions are the main inspiration for bigoted extremists among Muslims, such as the Islamic State. Different depictions of the Prophet Muhammad were formed and perpetuated as competitive interpretations of what he represented, with the mystical and legal interpretations representing just two of many among Muslims. Rumi did not see an irreconcilable contradiction between the two, let alone the need to abandon his religion, and most Muslims have historically seen the place of Sufism as one that can fit alongside juristic Islam, even if as a medium for a corrective internal criticism of the drier and more literal trends in the seminary. A major change in the last couple of centuries has been the decline in influence of the seminary and juristic Islam to a historic low and the establishment of secularism among Muslims. Although Kemal Atatürk, the founder of secular Turkey, famously banned the Sufi orders, this was for political reasons. Today, Sufism in Turkey is polarized between a tradition still linked to seminary Islam and supported by the religious party currently in power and a movement that is SBNR and very popular among secular Turks. Similarly, in Iran, the Persian Sufi poets have inspired SBNR Sufi movements that have an added attraction of being free from association with the seminary that is represented by the ruling regime. Is it so far-fetched, then, to consider Rumi as compatible with the SBNR movement that is increasingly popular in North America? The following is a story about the Master Baha al-Din: one day his disciples found him immersed in meditation. When the time for prayer arrived, some of his disciples called out to the master that it was time to pray. The master did not pay attention to their words. They got up and started to pray. Two disciples stayed in conformity with their master and did not rise for prayer. In his explanation of this incident, Rumi stresses that the enlightened Sufi Master represents God much more than a wall or building in Mecca can since his self has become obliterated in God. That is why facing him is actually more accurate and correct than to face Mecca as religious convention dictates. For present purposes, what is important is that his message is not that spiritual disciples can be individualistic and need not bother too much about proper actions, as SBNR adherents seem to prefer. Instead, to follow a spiritual master is actually more challenging than conventional religious practice because the latter is a matter of following rules accepted by the general population, while the former has a greater price to pay—it may appear shocking to others and will be understood only by a few. It also shows total surrender to the inner perception of the “scent” of the spiritual path. There is a lot of correspondence between the teachings of Rumi and the increasing Spiritual But Not Religious trend; the popularity of both are undoubtedly related. However, there is a huge difference between prioritizing the feeling of peace through individualistic practice and developing spirituality under the training of a master, even though neither need be religious in the conventional sense. 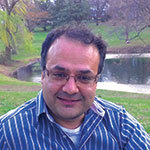 Jawid Mojaddedi is a professor of religion at Rutgers University. His area of research is early and medieval Sufism. He has published the first four volumes of Rumi’s magnum opus, The Masnavi, in the Oxford World’s Classics series, as well as a monograph on Rumi, Beyond Dogma (Oxford, 2012).